Even though we are only in the middle of May my San Diego Comic Con plans are starting to take shape. I am going to continue my annual tradition of enjoying some beer at Hop Con on preview night and will be attending my fourth Funko Fundays as well! The only big piece I need to bring everything full circle is tickets to a taping of Conan. If you are attending SDCC I hope to see you there! Secret Empire #2 - Hydra has successfully seized control of the United States of America thanks to manipulating Captain America into thinking he is a sleeper Hydra agent with the help of a cosmic cube. The superheroes that are fighting back are either trapped in outer space beyond a defense shield or in New York city thanks to a giant bubble. The superheroes that are trapped in New York City are divided. Half want to kill Captain America after he destroyed Las Vegas and the other half, based on some intel provided by Rick Jones, is determined to track down the cosmic cube fragments and attempt to write reality back to where things were. Throw in the twist that Nick Spencer drops at the end of this issue and you have a must read summer event. Really impressed with Secret Empire thus far. 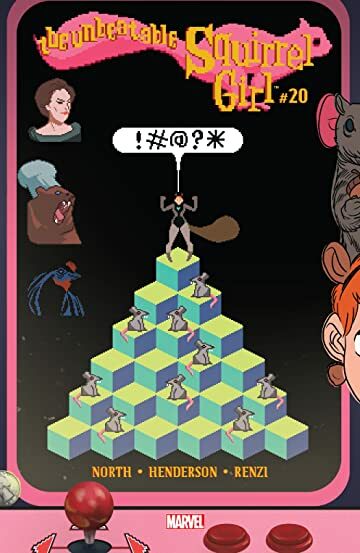 The Unbeatable Squirrel Girl #20 - I love how absurd and entertaining this title is and the break it provides from more serious titles. Currently Melissa Morbeck is rallying her animal army in an attempt to take over the world. In order to accomplish this and protect her identity, she is using a bear to cosplay as Doctor Doom and hoping to pin the animal rebellion on Squirrel Girl. Any comic with cosplaying bears is ok in my book. If the humor in books like this isn't just right then it falls flat. Fortunately, between Ryan North's writing and Erica Henderson's art, a happy medium of humor and fun is achieved and readers are treated to a fun break from more serious titles or the chaos that we exist in on a daily basis. Daredevil #20 - We finally learn how the Blue Children (Kilgrave's children) restored the secret identity of Daredevil, but we also learn what this cost Matt Murdock from an emotional standpoint. Having the genie back in the bottle was and is great for Daredevil, but in many ways it impacted the relationships and bonds that Matt was able to form. 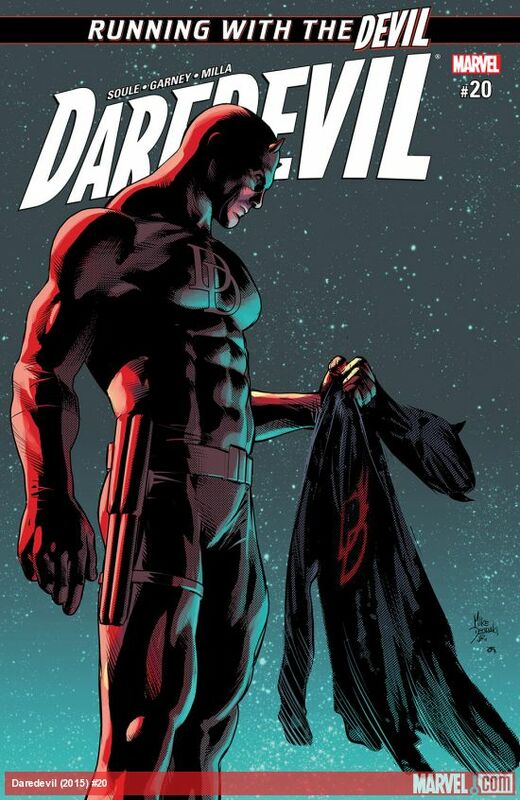 I really enjoyed this arc and am happy that Daredevil's secret identity is under wraps. The ability of authors to re-write characters that have been part of us for so many years never ceases to amaze me. Royal City #3 - The drama escalates in Jeff Lemire's latest entry into the story of a dysfunctional family that is dealing with a lot of issues. Each issue is an emotional journey as you get to know each member of the Pike family and the impact of their father's stroke, a factory that might be closing, and the haunting memories of their youngest brother who drowned many years ago. This series is quite heavy, but Lemire really shines at connecting the reader with the characters in his book to the point where you really have a vested interest in what happens in the book. So far this series has brought me back his earlier work Essex County, which almost made it on one of my course syllabus as required reading! Batman #23 - Batman teams up with Swamp Thing in an attempt to solve the murder of Swamp Thing's father. Written in a burst of short chapters, this one shot is a fun journey through some basic detective work. I was skeptical about reading more with Swamp Thing after the disappointing R.L. Stine series, but this was a fun issue that felt a bit like a short true crime show on A&E. Nothing terribly special, but definitely interesting and something that kept my attention from start to finish. Birthright #24 - I will be honest and say that I am a bit lost in this series and feel that a summary to open each issue would help a lot. Having said that, it feels like we are racing towards an epic finale that may have some huge consequences for Mikey and the decisions he made. Mikey's family from Earth is finally reunited as he wages his wars on the mages for leaving Terranos at the hands of Lore. Toss in the return of a villain we haven't seen for a while and I need to go back and re-read this series. Fortunately I have really enjoyed this one and look forward to the refresher.